Knee and ankle injuries are very common in both contact (rugby) and non-contact sport (football, hockey and netball) so we want to show coaches and players a quick test that helps pick out players that are at risk of knee and ankle sprains. This test is a good dynamic test that challenges your strength, flexibility, mobility and proprioception, which basically means it tests your dynamic balance. 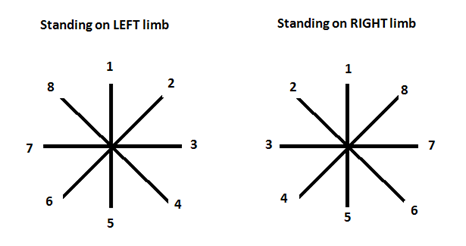 Compare this to the other leg and note down any asymmetries between sides in the reaching distance. Give it a go and see how far you can reach forward on each leg (particularly if you have had a past sprain!) and see how you stack up!